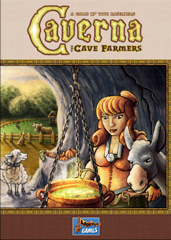 From the game designer of Agricola is Caverna: The Cave Farmers – a worker placement game. Players are leaders of their dwarf family living in a small cave in the mountains. It’s each player’s responsibility to cultivate the forest nearby the caves, whilst digging deeper into the mountains for ore and water sources. Thus it’ll be a case of who can best juggle resources and judge where best to place them to win this game! As leader of the family you can place family members where you see fit to use them as an action each turn. In front of the caves you’ll be able to undertake agriculture to develop your farms to generate wealth for your family. You’ll need to cut down the forest to sow fields and fence in pastures to hold your animals. There are opportunities to increase your family during the gameplay to expand your farms as well. However don’t forget to mine your cave as you’ll need this to forge weapons, which’ll allow you to go on expeditions to gain bonus items and actions. You may also come across water sources and ruby mines to further increase your wealth. For fans of Agricola – the main differences are the card decks have been replaced by a set of buildings, the addition of caves and new animals (dogs and donkeys), being able to purchase weapons and send your farmers on quests to gain further resources. 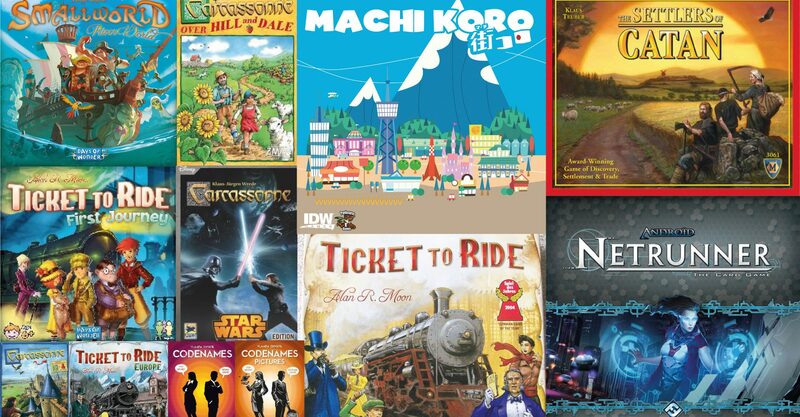 This game can be played either as a solo version (thereby knowing more about the game before playing with friends) or with up to 7 players (ages 12+). The playing time varies from 30mins to a few hours depending on how many players are playing. Be warned you may find the price for this game seem a bit steep at £60 however with over 300 wooden pieces this game is one of the most eye pleasing games ever released. It’s also one of the heaviest weighing in at 4kg.